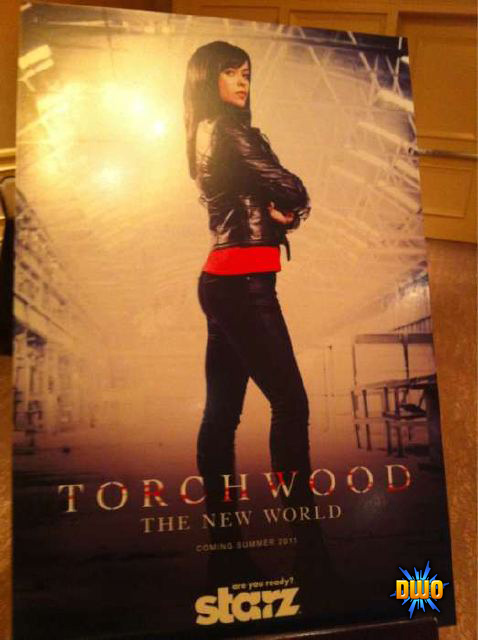 More news of Torchwood Series 4 has emerged and Russell T Davies has confirmed, along with The Hollywood Reporter and USA Today, general plot lines on the series and the title 'The New World' for it. The new story will follow a CIA agent (Rex) and analyst (Ester) who tackle an alien-related global issue. Torchwood, having been destroyed and disbanded, is "like a legend now ... it's like something that's ceased to exist and is now spoken of only in whispers." Soon, Rex and Ester are on the run and are seeking out the help of Captain Jack and Gwen. The two teams coming together is a big part of the story -- are they friends or enemies? There's a lot of sparks and excitement. "We definitely have a really big story to tell," added executive producer Julie Gardner. "It's absolutely rebooted to welcome in a new audience." The ten episodes will be very fast paced, telling a self-contained story with the miniseries 'Children of Earth' being used as a template. "New" is the operative word. The team has left Wales for America, as creator Russell T. Davies has left Britain for Los Angeles. The case will tie the two remaining Torchwood members (Jack and Eve Myles's Gwen) to the CIA, and will expand into a world-wide threat. And yet, says Davies, it "will be faithful" to the BBC original. Davies says this story, which "had been ticking away in my mind for a long while," had not been planned as a Torchwood story at all. "And suddenly I thought, there's a popular show, there's a great story, let's put them together...It felt like it definitely could move forward and become new again." Though it will be newer and bigger, the tone won't change, says Davies. Barrowman's Jack will still be TV's only bi-sexual hero, character will still be stressed, and humor will still play a large part in the show's make-up. "I sit there in the editing room saying 'Don't cut that joke! Cut the plot, cut the murder, cut the story, but don't cut the joke. '...It will always be a cheeky show." Fantastic!! 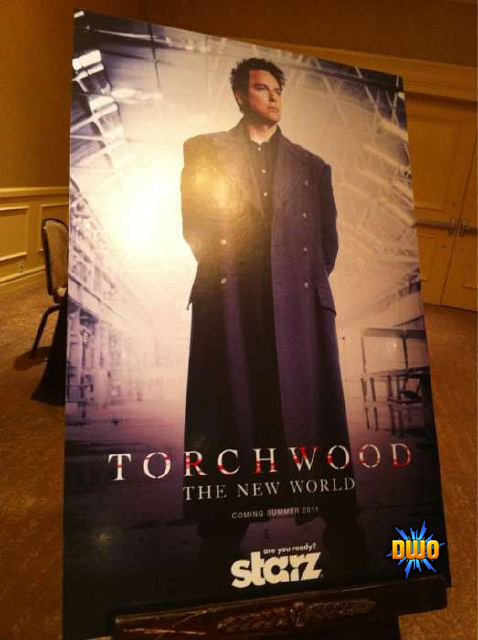 I can't wait to see it Torchwood was a fantastic series and I miss it dearly. 3rd Adventure Games Title & Info!